Alvin Singleton is an American composer whose music is performed in the best venues across the US and Europe. His academic background includes degrees from New York University and Yale. As a Fulbright Scholar, he studied with Goffredo Petrassi at Accademia Nazionale di Santa Cecilia in Rome, Italy. Alvin Singleton’s career achievements include Fulbright, Guggenheim and National Endowment for the Arts recognition. His rich body of works is comprised of compositions for orchestra, chamber ensembles, solo pieces, chorus, voices and instruments and more. Growing up surrounded by Jazz in Brooklyn, NY, and later experiencing the best Europe has to offer in his 14 years of living there, Alvin Singletonhas an authentic voice. He makes music that speaks to the soul. Atlanta Symphony, Houston Symphony, Cleveland Orchestra, Philadelphia Orchestra, Detroit Symphony and many other distinguished orchestras have commissioned and performed works by Alvin Singleton. 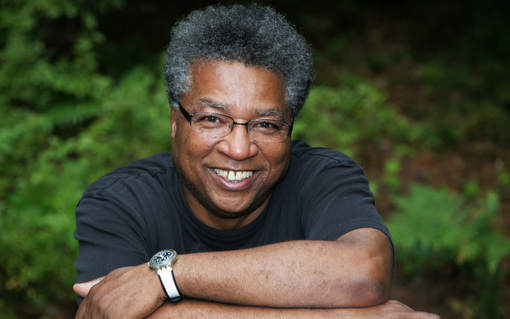 In 2014, Alvin Singleton was elected to The American Academy of Arts and Letters, an honor bestowed on only 250 artists across all disciplines at any time. HocTok is so honored for the opportunity to speak with Alvin Singleton, the American composer whose music is so expressive, honest, and always self assured. Alvin Singleton's music is soulful, with an understated simplicity that I particularly prize. Despite the studied economy of his means and the set character of his images, the music is never cold ... nor abstract. It glows with warmth, it hovers in the air, it paces itself with a glacial but palpably intuitive momentum. It refuses to pander to either academicism or populism, but is so honest and self-assured that listeners flock to it anyway.